Some of our guests may have spotted recent press coverage for The Old Quay House. We are thrilled to have received some fantastic comments, and wanted to share them with you. Lesley Gillilan wrote about us in Coast Magazine following a recent trip. 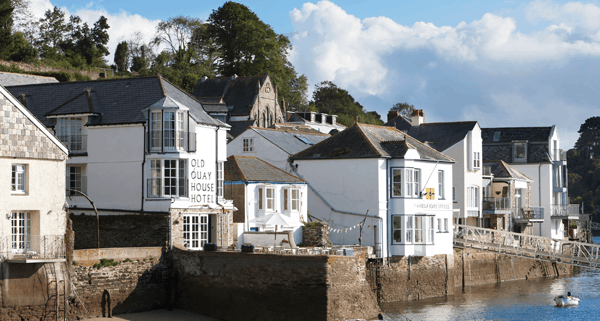 “A sophisticated reinvention of an 1850s seamen’s mission, Fowey’s best hotel fronts on to Fore Street and backs on to the estuary – its terrace-on-the-quay is part of Fowey’s modern waterfront life. The rooms are simply but luxuriously furnished in restful neutrals (some have roll-top baths, giant beds and fabulous views) and there’s a glamorous penthouse suite on the top floor. The excellent Q restaurant spills on to the terrace.” For the full piece which featured in the December issue of the magazine, please click on the link here. Ana Franca, writing for Telegraph Travel says: “…The Old Quay House couldn’t be more centrally, nor more scenically, located…the perfect choice for those seeking time away from busy city streets, particularly if you like big walks.” To read the full review, click on the link here.